“Won’t You Be My Neighbor?” is opening this weekend at Animas City Theatre. The reviews are correct. “Won’t You Be My Neighbor?,” the new documentary about pioneering children’s host Fred Rogers, is very good. Technically good, but also capital-G Good: The sort of humanity-affirming quality that one identifies with saints and saviors. These days, that virtue is most evident in its absence, so the way it permeates this film both startles and delights. Yes, the good can be interesting – fascinating, even. Director Morgan Neville, with an compelling mixture of interview, archival footage and endearing animation, charts the transition of a soft-spoken young man named Fred Rogers from the Presbyterian seminary to Pittsburgh’s local television stations, and then to the development of the pioneering show “Mister Rogers’ Neighborhood.” The deceptively simple children’s show, based on songs, puppets and recurring visits from neighborhood guests, became a juggernaut in the 1960s and ’70s and – if the persistence of Mister Rogers memes, quotes and forthcoming film treatments is any indication – remains iconic today. Rogers’ personal philosophy is revealed steadily over the course of the film: an insistence that the feelings of young children are as important as those of adults, a constant championing of human dignity and an abiding belief in the importance of love, freely and unconditionally given. He described his work as “(helping) children through the difficult modulations of life,” from dealing with unwieldy feelings to understanding weighty topics such as divorce and death. But as the movie progresses, it became obvious how helpful these simple, thoughtful explanations were to adults as well: America’s kindly neighbor was called upon to calm the nation in the wake of Robert Kennedy’s assassination, the Challenger disaster and even Sept. 11. The documentary relies on many of the same textural elements that Rogers’ low-fi children’s television program did: deliberate pacing, a calm demeanor and an emphasis on silence as a gift to be savored and shared. Much of the movie’s suspense, such as there is, relies not on negative twists and turns but on the positive. What nice thing will this uncommonly kind man do next? In contrast to the sharp shocks and snarky antiheroes that animate most of today’s media landscape, the experience feels almost surreal without ever being boring. In fact, the quiet valorization of kindness and gentleness feels wildly countercultural. Perhaps that’s why the most jarring moments in the film are not those in which Rogers tackles sobering events or controversial subjects (although there are many, from race relations to gay rights) but those in which the not-so-good intrudes. The second half of the documentary takes note of the right-wing commentators who derided Rogers’ belief in the “specialness” of every child as progressive softness that turns children into entitled snowflakes, the uncharitable parodies of his show that proliferated on late-night television and even the Westboro Baptist Church protesters who picketed his funeral. Yet, rather than depicting them with anger or exasperation, the film notes the presence of these detractors with a sort of bemused sadness. “Why be like this?” the film seems to ask. It’s remarkably difficult to answer. 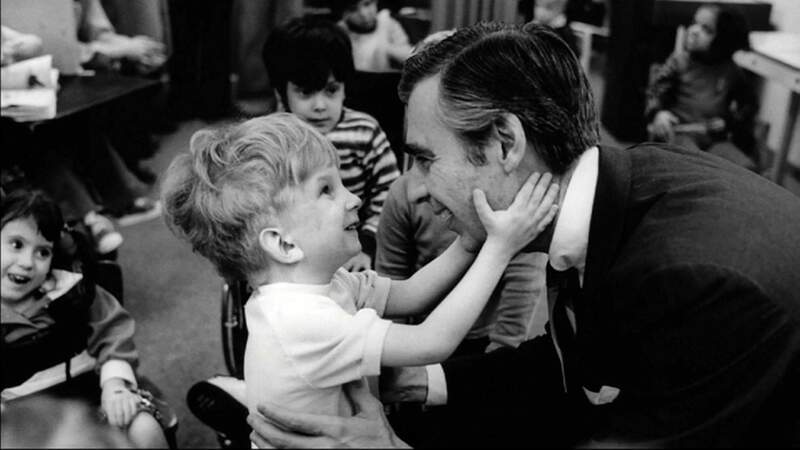 Ultimately, the most singular feature of “Won’t You Be My Neighbor?” is that it takes for granted the assumption that being good – humane, compassionate and kind – is the goal. Sarcasm and shock aren’t valued; love is. It’s surprisingly disorienting, which might lead you to question how, exactly, you’ve been orienting yourself. In footage from an interview in the late 1990s, when Rogers was called on to make the case for public television, he declared his goal for the medium in simple terms. “Let’s make goodness attractive, in this so-called new millennium.” “Won’t You Be My Neighbor?” succeeds.